What Does This Book Assume? 1.4.3. What Does An Apollo Application Contain? 1.4.6. 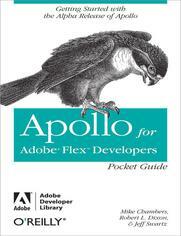 Is Apollo the End of Web Applications in the Browser?